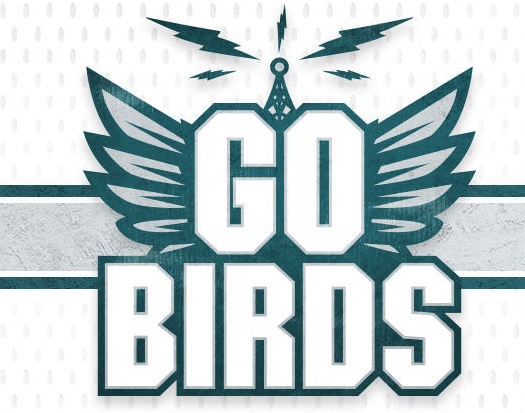 Entercom has relaunched the Philadelphia Eagles radio show and podcast hosted by Sportradio WIP 94.1 FM's John Barchard and James Seltzer, as "Go Birds." The show will continue to air on Saturdays from 4-6pm ET on WIP, the flagship station of the Philadelphia Eagles. The podcast will be available on Radio.com. Barchard currently hosts nights and weekend drive on WIP. Seltzer holds the role of Executive Producer for the station's midday show, "Joe DeCamara and Jon Ritchie." "Both the podcast and radio show have been Eagles fan favorites and we are excited to continue the tradition," said Senior VP/Market Manager David Yadgaroff. "The name of the show might be changing, but fans can expect the same insight into their favorite football team." "I am ecstatic that the work we have put into our podcast and radio show over the last 5 years has led us to having a permanent home on the flagship station of the Philadelphia Eagles and on Radio.com," added Barchard. "It's a wonderful feeling that everyone involved at 94WIP and Entercom truly believes in what we are doing and has put their full faith in us as we continue this amazing journey." "I'm beyond excited to take the podcast to the next level," said Seltzer. "I have two words for you: Go Birds." Along with its popular Eagles pre-game and post-game shows, the "Go Birds" podcast will continue to feature weekly shows on fantasy football, the NFC East and in-depth all-22 breakdowns, "Counterpoint" featuring Jack Fritz, and Vince Quinn's "Upon Further Review," which breaks down the history of the Eagles.